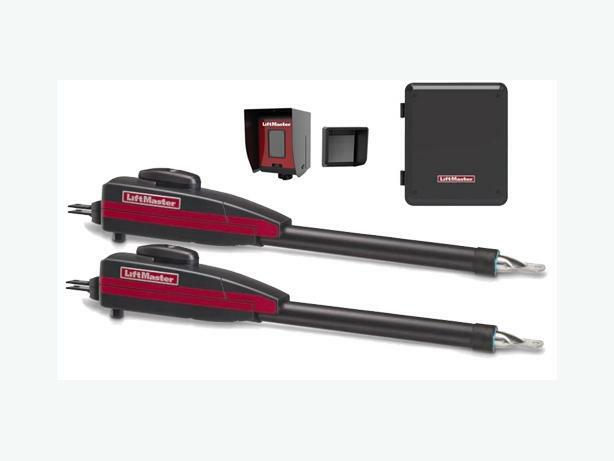  Log In needed LIFTMASTER LA400PKGU Automated Gate Systems- Control By Your Smart Devices!! Westcoast Custom Gates Ltd -Vancouver Island's Largest Manufacturer and Installer of Automated Gates! Authorized Distributor for LiftMaster Products! The LA400 has a powerful 24VDC motor, which provides exceptional starting torque and features soft start/stop operation. This promotes longer gate and operator life, as well as dependable performance. The LA400 is capable of operating gates up to 16 feet long and weighing up to 550 pounds, per panel. Solar-powered automated systems also available! Provides the ability to remotely monitor and activate our gate from anywhere in the world via an Internet-enabled Smartphone tablet, or computer. Please visit our website for more information and pricing!